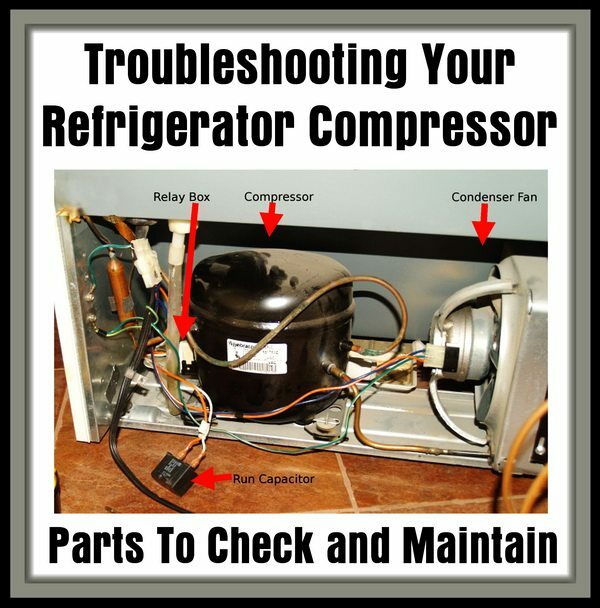 Troubleshooting Your Refrigerator Compressor – Is Your Refrigerator Running? Refrigerator compressor trouble? Often, the issue lies with the compressor. However, before you make a pricey call to a repair company, some simple DIY troubleshooting can frequently identify the issue with minimal effort. Below, we’ll provide a few simple tips for ensuring your fridge compressor keeps humming along for years to come. Let’s get started! Troubleshooting Your Compressor – Refrigerator Running? How long has it been since you pulled out the fridge for a deep cleaning? A dirty refrigerator compressor or condenser coils are common causes of poor fridge performance. Make sure to pull the fridge out once in awhile and give the coils a thorough cleaning with a damp cloth and dish soap. Also, don’t forget to remove the power supply from the outlet beforehand. Your fridge draws a respectable amount of current, and no maintenance should be performed on your unit without first ensuring power has been terminated. Before restoring the power, make sure the back of the unit has had adequate time to fully dry. You know that buzzing sound your fridge makes when it’s running? In older fridges, that’s your compressor doing its magic. A steady hum usually means the compressor is working as intended. Modern fridges are, however, much quieter, and may require you to access the back of the unit to ensure the compressor is running. In either case, if your compressor makes a clunking, creaking, mechanical noise, this is a bad sign. Your fridge also contains a condenser fan typically situated next to the compressor unit. This fan should spin freely on normal operation, but can also become blocked by debris, spills, or an errant wire or piece of hardware. Inspect the fan to ensure it is clean and spins free of any blockage. Try plugging the fridge back in to make sure the fan is operating correctly; if not, you may need to replace the fan assembly. A good way to check for proper fan and compressor performance is to leave the doors open on the fridge for a few minutes while plugged in. See if the compressor fails to engage or the fan fails to spin as the cool air empties from the unit. If the compressor is clicking on and off, or worse, not running at all, check the start relay. This is a small box on the side of the compressor with several wires feeding in and out. Often, the relay can perform poorly if it is very dirty, or if one or more wires have been loosened from repeated wear. Make sure the relay is clean, and that all wiring is properly fed and secured. 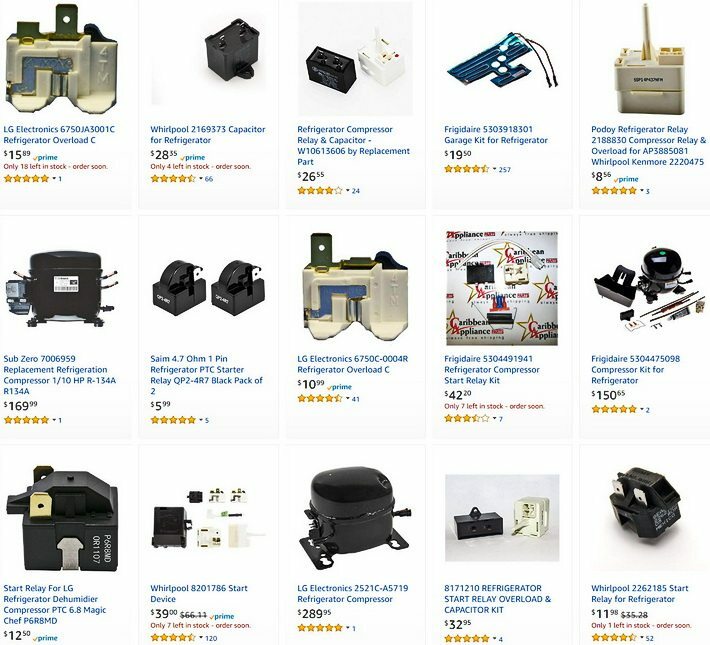 Replacement relays are also easily available and inexpensive (less than $20, usually), should you opt to replace the relay. If this does not address the problem and the compressor continues to operate incorrectly (or not at all), you may unfortunately have a blown compressor that will require replacement. Inside your freezer, you will see several vents on the back of the compartment. These must not be blocked in order for the fridge to properly circulate cold air. If you can hear the compressor running but the refrigerator is not cooling properly, move any food products blocking the vents, and scrape off any ice dams or spills that may be impacting the vents. During operation, you should also hear the evaporator fan inside the freezer running. If it is making odd sounds like loud clunks or squeaks, or is running extremely loud, you may need to replace the evaporator fan as well. If your fridge isn’t running like it used to, try these tips first. Often, a poorly operating refrigerator is due simply to poor maintenance, and can be addressed with some basic cleaning or servicing. Replacing relays and fans, while a bit more technical, are also not terribly difficult for DIY repair. If you’d like to learn more about addressing many common refrigerator issues, leave a comment or question in the comments section below. My Kenmore refrigerator is not cooling. I can hear a humming sound that starts and stops every few minutes. This sound only lasts for a few seconds. Do I need a new compressor? Next post: What Types Of TV Cables Are On The Back Of Your Television And What Do They Do?